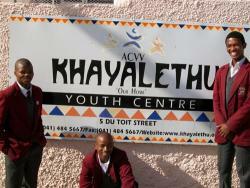 Algoa Brick supports the ACVV Khayalethu Youth Centre, a permanent alternative for boys living on the street. The centre was started in 1996. 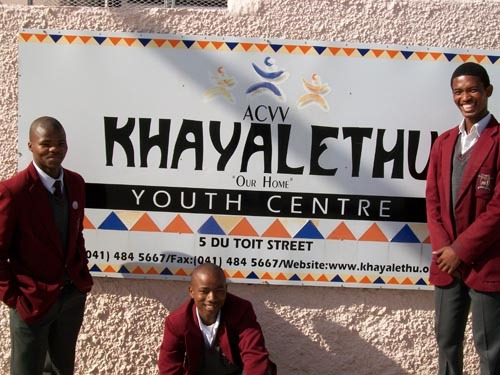 Khayalethu means “our home” and that is precisely what the Centre tries to provide for the 35 former street boys that currently live at the Centre. The Centre aims at preparing these boys physically, emotionally and intellectually to become responsible, functioning members of society. The boys are taken off the street, away from a life of crime, abuse and poverty and given another chance to reach their full potential. At Khayalethu Youth Centre specific programs are offered aimed at their overall development and growth. School Program: All our boys daily attend school. It is one of the biggest challenges as most of them have had very little or no schooling. After School Program: We employ a tutor to assist and monitor the boys’ homework every afternoon and also offer extra lessons in order that they may catch up. Community Service: It is important that the boys learn the importance of giving back to their community and with this in mind the boys volunteer at Clinics, Old Age Homes and even the Animal Welfare. Sport Involvement: All the boys are involved in sport, both at school and at the Centre. 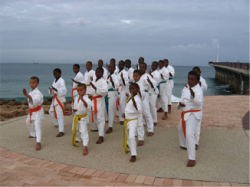 We are very proud of their achievements, especially in Karate with most of our boys competing in the annual SA JKA Championships and almost always bringing home some medals. Adventure Based Education: Outdoor activities and hikes teach the boys about nature, perseverance and teamwork. Many of the boys’ hidden talents come to the fore during these mini adventures. This unique community-based project was established as an initiative to deal with the growing number of adults and children infected or affected by HIV and AIDS within the community. It is an agricultural project where high valued vegetable crops are produced intensively through Hydroponics. Since 2009, Algoa Brick been a member of the Mining Forum - a group of Mining companies within Port Elizabeth that have partnered with the municipality with the aim of supporting the development of an SMME Hive in the Motherwell community. Through this collaboration, the mining industry is able to have a greater impact in the community. Over R 120 000 has been contributed towards this project.